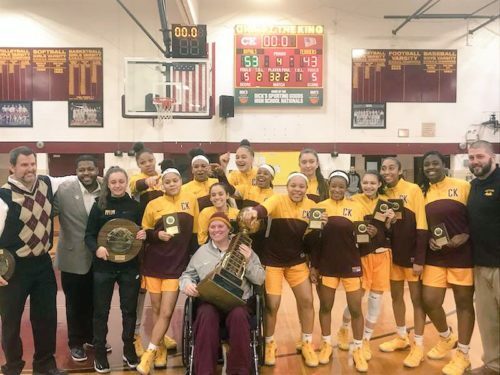 Varsity ‘AA’ champions: Christ the King H.S., Middle Village. The Lady Royals finished the regular season a perfect 24-0, garnering a No. 2 ranking in the country. Christ the King went on to defeat Cardinal O’Hara H.S., Tonawanda, N.Y., to capture the ‘AA’ state championship. 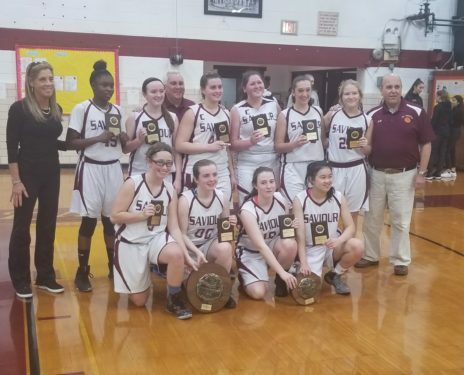 The team advanced to the state federation tournament, to be played March 23-25 in Glens Falls, N.Y. 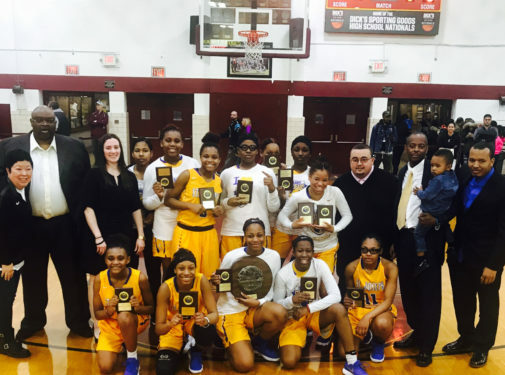 Varsity ‘A’ champions: St. Joseph’s H.S., Downtown Brooklyn. 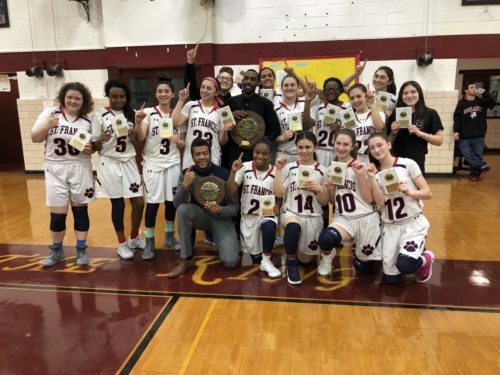 The Lady Cougars reached the state tournament and dropped the semifinal contest to St. John Villa Academy, Staten Island. Varsity ‘B’ champions: St. Saviour H.S., Park Slope. The Pandas made it to the state tournament, where they lost to Aquinas H.S., the Bronx, in the semifinal matchup. Junior varsity ‘AA’ champions: St. Francis Prep, Fresh Meadows. 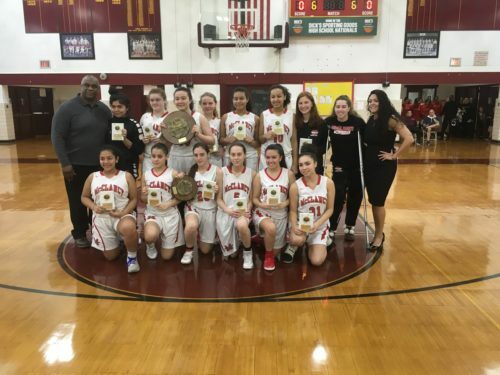 The team advanced to the ‘AA’ city championship, falling to Notre Dame Academy, Staten Island. Junior varsity ‘A’ champions: Msgr. McClancy H.S., East Elmhurst.